For a delicious, easy chicken meal, eat up the grill and prepare some chicken kabobs. There are so many flavor choices you will have trouble choosing. 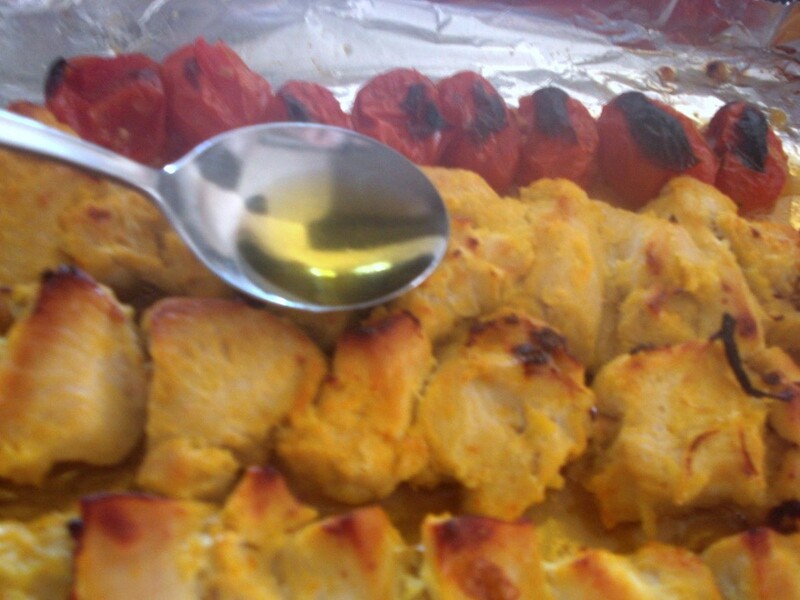 This page contains chicken kabob (skewer) recipes. These kabobs are really nice served over your favorite rice cooked in chicken broth and then very lightly flavored with a bit of lemon juice. Stir together the olive oil, ranch dressing, Worcestershire sauce, sage, salt, lemon juice, vinegar, pepper ,and sugar in a medium bowl. Let stand for 10 minutes. Place chicken cubes in the bowl, stir to coat with the marinade; cover and refrigerate for 45 minutes. Lightly oil grill grate and preheat the grill to medium high heat. Meanwhile, thread chicken on to skewers and discard marinade. Grill skewers, turning once, for 8 to 12 minutes or until the juices run clear. Mix together the olive oil, ranch dressing, Worcestershire sauce, cilantro, lime juice, vinegar, and pepper in a large bowl. Add chicken, stir to coat, cover and refrigerate for 2 hours. If using bamboo skewers soak in water for 20 minutes. Preheat a lightly oiled grill plate to medium high. 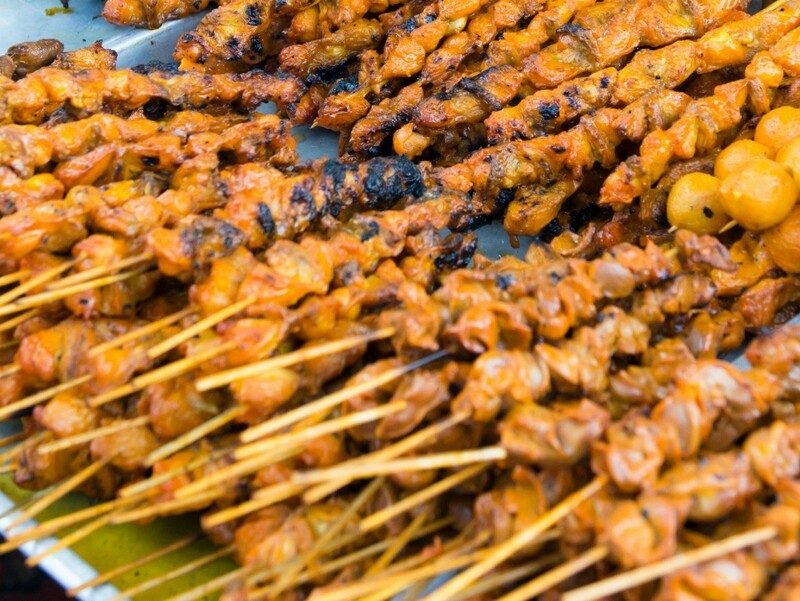 Thread chicken onto skewers, discard marinade, grill chicken, turning occasionally, until juices run clear when pierced with a fork, about 8 to 12 minutes, and serve. Combine first seven ingredients in a large bowl. Place the chicken cubes in the marinade, cover and refrigerate for a minimum of 2 hours, tossing once or twice. 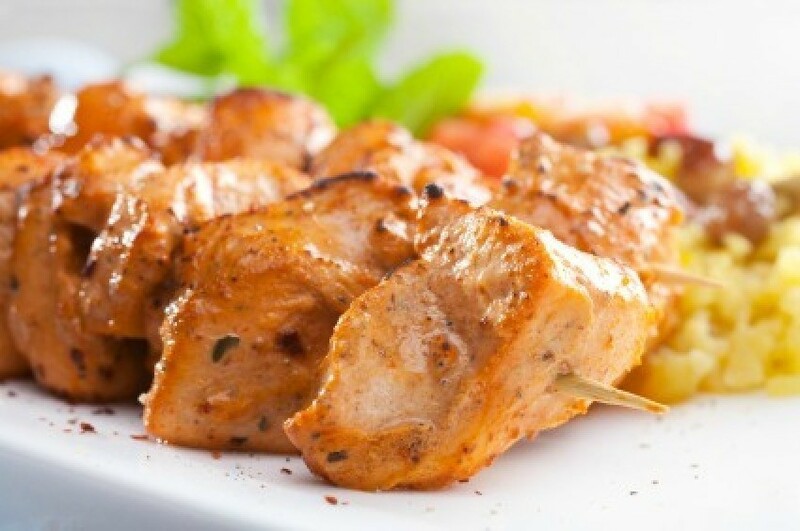 Preheat a grill to medium high heat, place chicken cubes on skewers, discard marinade and grill for 5 minutes on each side or until juices run clear when piercing the chicken. Meanwhile, mix the last nine dipping sauce ingredients in a small bowl. Note: If using wooden skewers, soak them for about twenty minutes before placing chicken cubes on them. Drain the pineapple, reserving juice; set pineapple aside. In a bowl, combine the Worcestershire sauce and reserved juice. Cut each piece of chicken into four strips. Pour 1 cup marinade into a large resealable plastic bag; add chicken. Preheat oven to 400 degrees F. In medium bowl, combine chili sauce, Worcestershire sauce and hot pepper sauce. Thread each chicken tender onto skewer, leaving 1 inch at each end. I am looking for a recipe for grilled chicken kabob marinated in plain yogurt. I had this chicken kabob at a restaurant, it was unbelievable. The waitress said that it was marinated in plain yogurt, but I figure there has to be something more to it. Does anyone have a recipe using plain yogurt for marinating? The recipe called for 4-6 boneless chicken breasts, but I used boneless, skinless thighs, and it was fantastic. Grill over indirect medium heat for about 20 mins until done. Could be done inside on a grill pan, but be sure not to exceed a medium flame. Preparing large quantities of food for a group event presents many challenges. The first is to know how much food to prepare, to avoid waste and hungry guests. This page asks about how much to buy when making chicken on a stick for a large crowd. Chicken kabobs are easy to make in the oven and can be served with all sorts of sides. This is a guide about making simple baked chicken kabobs.